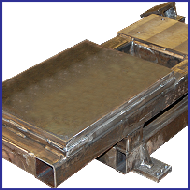 Offering a high quality fabrication facility of up to 10 tonnes, our M.I.G. 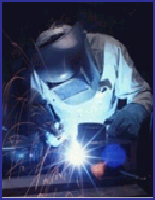 coded welding facility can handle the most demanding requirements. 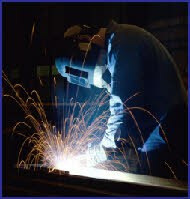 All our work is always quoted with cost effectiveness and quality in mind. We have the facilities to manufacture anything, from small jigs and brackets to complex fabrications with high tolerances. Our production versatility allows us to fabricate single items to large batches with an equal degree of accuracy and we specialise in high quality, labour intensive contracts with short turn around requirements.